PLEASE NOTE: This post contains spoilers. Beasts of the Southern Wild is based on the one-act play “Juicy and Delicious” by Lucy Alibar and Benh Zeitlin, the latter of who also directed the film. It follows a father (Wink) and daughter (Hushpuppy) living on an island off the coast of Southern Louisiana through the hit and aftermath of a fierce storm. The film hearkens back to Hurricane Katrina, and the fictional setting, Zeitlin has said, was inspired by Louisiana’s Isle de Jean Charles. The inhabitants of “The Bathtub”, as the island is referred, live in poverty and seem to have their own society completely separate from the main land. The houses are shacks made of scrap metal and wooden boards or an old boat converted with canvas and tarps. They are a tight-knit community, a tribe of sorts. The local teacher, of questionable qualification, tells the school children about a species of giant ancient beasts called Aurochs, that apparently froze in the polar ice caps. These extinct creatures become our narrator’s vision of real-world struggles. Natural disaster, the subsequent “end of the world” and the necessary shift to a new way of living, broken family, illness and death are all displayed in the film. And in each case, not far behind is the Auroch, stalking, charging, or retreating, depending on scenario. It is in the context of these intangible beasts that Hushpuppy, our young narrator, is able to make sense of the world around her, with all its messy twists and injustices. In fact, this scrappy little ragamuffin is full of coarse grains of wisdom. Young Hushpuppy has an extraordinary way of putting things that are far too complex for her to understand into concepts which make perfect sense to her, and to us. She really is a remarkable character, and it seems a shame, when watching, that her stubborn alcoholic father doesn’t realize it. The relationship between Hushpuppy and Wink is sad, but interesting. You hate him for not taking her out of the Bathtub before the storm. 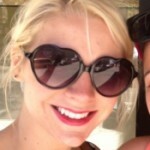 For living with that beautiful child in filth. For drinking instead of nurturing. For yelling instead of hugging. But by the end he’s not quite so bad. Dying men always seem more tolerable. Yet, I think it is less about the actual impending loss of life, and more about the interim. The life he has left. He becomes vulnerable. You see his weakness, his illness, his desperate attempts at denial, and the utter terror he feels about his way of life, his people, becoming extinct. You see, for Wink, the Bathtub is not just a place, and the people around him are not merely neighbors. They are a separate species. The only one he has ever known. And much like the Aurochs, they were on the brink of extinction. In the back of his mind, being hard on Hushpuppy was not merely an icy way of getting through his mandatory parental duties. Don’t get me wrong, he was cold and mean and unkind and certainly less than nurturing. But the more I examine this relationship, I begin to believe that Wink’s behavior was a demonstration of his most basic, beating parental drive: ensuring the survival of his offspring. Could he have been more affectionate? Yes. And I still wish that little girl had someone to hug her and say “I love you” and protect her from the storm. But she didn’t. And she was a strong enough animal to survive. Beyond feeling like I was one step closer to Katrina, the film also held another point of reference for me. 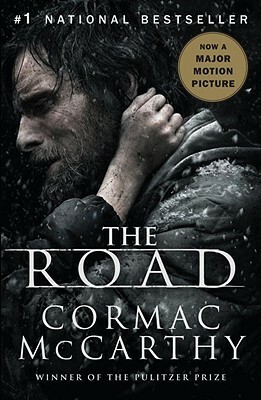 For anyone who has ever read The Road by Cormac McCarthy, this work has some striking similarities in theme. I know I’m not right now reviewing The Road, but it was all I could think about after seeing this picture. 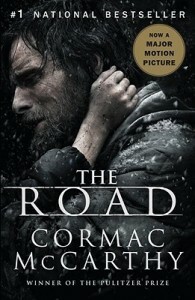 The Road follows a father and son on their journey through the destitute streets of what used to be planet Earth. Some untold catastrophe occurred, destroying society and most of the inhabitants of the land. The father and the boy travel a long journey on foot, making their way south in order to survive the harsh winter. I’m a sucker for post-apocalyptic and dystopian story lines, so, while the book was slow going, the theme kept me involved. Father and child. In Beasts of the Southern Wild, the mother is nowhere to be found. Hushpuppy says that she left and often sees her through flashbacks. In The Road, the boy’s mother committed suicide shortly after he was born, unable to cope with the aftermath of the disaster. Disaster and aftermath, “Us against the world”. The father and son in The Road must walk on through treacherous landscapes, scouring for just enough resources to last the night, knowing the next night will be just as cruel. 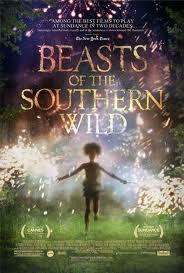 In Beasts, Wink and Hushpuppy survive the storm, but are soon faced with the real struggle, the aftermath. The subsequent isolation, illness, and lack of resources threaten the survival of Wink, Hushpuppy, their community and their way of life. They trudge on, and fight the uphill battle to make it to a dryer day. While I may have went off on a tangent, ultimately they are both intriguing, depressing, and ultimately moving works. The acting was fantastically convincing. Nine-year-old Quvenzhané Wallis (who was only five at the time of her audition) deserves every accolade she receives, including the her nomination for Best Actress. And Dwight Henry, the Louisiana bakery owner who played Wink gave a professional performance. Maybe more directors should take a cue from Zeitlin and go with amateur talent. And that is Beasts of the Southern Wild — Poignant. Simple, yet complex. Harsh, insightful, and emotional. Watch it if you haven’t.